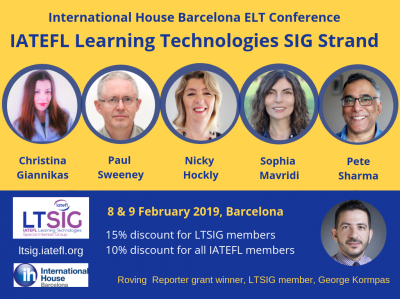 As part of our countdown to the International House Conference in Barcelona, which takes place on 8/9 February, this is the third of five posts which focus on the speakers on the LTSIG strand. The IATEFL Business English SIG and IATEFL Leadership and Management SIG will also be there. Primary language education has been enriched by digital technologies in a variety of ways. Children are now given more learning opportunities and are offered an enormous wealth of resources and information. This is a positive development, nonetheless, language teachers need to make students aware of the magnitude of their exposure to new technologies, become accustomed to a new language classroom norm, and help their young learners become ‘future ready’. This workshop aims to provide practitioners with forward-looking knowledge, skills and competences they need in order to create a positive environment, raise children’s awareness of the use of technology, and prepare them for the age of the digital revolution. More specifically, during the workshop we will focus on raising young learners’ awareness on cyber safety and cyber hygiene, explore classroom management techniques when integrating new technologies in the young learners’ classroom, and discuss a range of practical examples of how to strengthen children’s critical thinking and media literacy. The workshop will show principled and age-appropriate teaching approaches which can prompt young learners to become effective and competent users of technology in the language classroom. Please bring your own devices. Christina is the IATEFL LTSIG’s Development Administrator. She is also a linguist, a researcher, a teacher trainer, an online tutor, an ELT Consultant, author and editor. 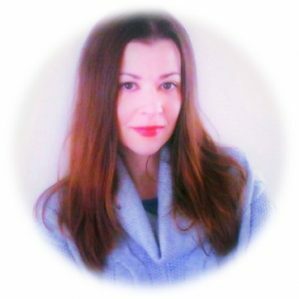 She currently works for the Department of Education of the University of Cyprus, the Language Centre at Cyprus University of Technology and is a Pre-service teacher trainer for the Ministry of Education and Culture of Cyprus. She holds a Ph.D in the field of Applied Linguistics and has been involved in a number of research projects with a focus on Computer Assisted Language Learning (CALL) in early language learning contexts, digital storytelling and literacy, student-centred teaching approaches, language teaching policies, teacher education and professional development and Elearning/Distance Learning in Higher Education. Giannikas, C.N., McLaughlin, L., Fanning, G. & Deutsch Muller, N. (Eds.) (2015). Children Learning English: from research to practice. Reading, UK: Garnet Publishing Ltd.
Giannikas, C.N., Kakouli-Constantinou, E. & Papadima, S. (Eds.) (Publication date: May 2019). Professional Development in CALL: a selection of papers. Research-publishing.net (Open Access). Giannikas, C.N. (2011). L1 in English Language Learning: A Research Study in a Greek Regional Context. International Journal of Applied Linguistics Vol. 21 no. 3, pp. 319-339. Giannikas, C.N. (2013). The Benefits in Management and Organisation: a case study in the young language learners’ classroom. CEPS Journal. Vol. 3 no. 3, pp. 87-104. Giannikas, C.N. (2013). Focus on the Primary Language Teacher: a study within a Greek regional context. British Council ELTA Journal, Vol. 1 no. 1, pp 79-87. Giannikas, C.N. (2014). The Optimum Conditions of Foreign Languages in Primary Education. Language Learning Journal, Vol. 19 no. 2. Tsagari, D. & Giannikas, C.N. (in press). Early Language Learning in Private Language Schools in the Republic of Cyprus: teaching methods in modern times. Mediterranean Language Review. Giannikas, C.N. (in press). Welcome to the Blogosphere: improving teenage learner’s literacy and collaborative skills. CyTEA Conference Proceedings. Giannikas, C.N. (2013). Action Research in the Language Classroom: the Greek educator’s answer to the Financial Crisis. IATEFL TDSIG Issue 68, pp. 22-25. Giannikas, C.N. (2013). Task-based Learning: the building blocks for the young language learner. Humanising Language Teaching Vol. 15, Issue 3. Giannikas, C.N. (2013). Parental Influence in Early Language Learning: how teachers can make it work. British Council ELTA Newsletter (Lifelong Learning). Giannikas, C.N. (2013). Early Language Learning. IATEFL Voices, issue 236. Giannikas, C.N. (2013). Let’s play a game: encouraging children to enjoy their language learning. IATEFL C&TS. Giannikas, C.N. (2015). Classroom Management and Organisation: there’s more to it than we think. IATEL C&TS Newsletter. Petrou, E. & Giannikas, C.N. (2016). Online Tools: Invaluable Resources for Developing Upper Secondary Learners’ Writing Skills. TEYLT Worldwide, Issue 1. Giannikas, C.N. (2017). Assessing Young Learners through Games and Enjoying it! TESOL Greece Magazine, No. 136.